10. May you afford a nice, new pair of cute shoes each month. 9. May you look long & lean despite your heel height. 8. May all your accessories match well. 7. May you know the pleasure of high design. This entry was posted on Wednesday, January 3rd, 2007 at 11:07 am	and is filed under Shoe Trends. You can follow any responses to this entry through the RSS 2.0 feed. You can leave a response, or trackback from your own site. 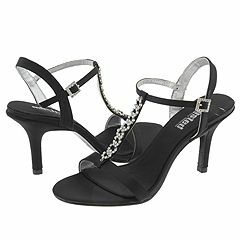 Tremendous discounts and offers by SHOEBuy(www.couponalbum.com/coupons/shoebuy.htm) an amazing shoes store,I do my shopping from this store and get good quality products at discounted prices.